Gather around children. It's time to talk about the biggest atrocity that could possibly ever exist. Now, trust me, WWE has made a ton of mistakes over the years, but there is one huge mistake that they could really make, and according to multiple sources and Jim Ross himself, Goldberg vs Brock Lesnar 2 is due to happen very soon. Now, as the plot thickens, more details are coming out about this match reportedly being confirmed and set in stone. Why? Who the hell knows. However, nearly 50 year old Bill Goldberg seems set to hop back in the ring and fight once more... or perhaps more than that, who knows. What we do know is that the last time Goldberg was in a WWE ring, it was absolutely horrible. And who did he face? Brock Lesnar. At Wrestlemania 20. Now, let's be honest. A lot of the matches Brock has had since returning in 2012 have been rematches, usually ones that were unnecessary and pointless. Instead of perhaps building to a Kevin Owens vs Brock feud, or a Cesaro vs Brock feud, or even something involving Brock vs Chris Jericho with Heyman on the mic versus Jericho, we seem to be on the verge of getting Goldberg vs Brock II at Survivor Series. Now, don't get me wrong.... Goldberg returning could be big... or could have been. If it was at Wrestlemania and NOT against Brock, and rather someone who could carry the feud, it would be somewhat interesting. I mean Goldberg can be intense in the ring and his spear is almost unparalleled, BUT.... do we really want to see him again? I'm sure some of us do, but do we really want to see Brock, who already has taken criticism for his lazy matches and lackluster performances, against Goldberg, a man who hasn't wrestled in WWE for 12 years and just had double knee surgery? I would think the consensus would be NO. A strong NO. Now, Goldberg a few months back was saying the ball was in WWE's court and that he was open and ready for a WWE return during the promotion of WWE 2K17. However, on ESPN early tonight, he mentioned that he was 49 and doesn't know if he should or not and that people should give him until the year is over to decide, a far cry from the rumors that the match is all but confirmed. One would assume that Goldberg has been training and that his deal might actually be done and that he's trying to save face for the info that leaked out. There's no reason why so many credible sources have Goldberg as basically signed and ready to go for Survivor Series, if it wasn't almost there or official. However, he said himself that he doesn't owe Brock a rematch, but if he did comeback, that's the FIRST match he would want. Why? Who knows. See, that's the thing. 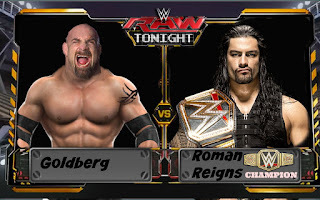 Goldberg coming back is cool if he works with guys like Seth Rollins, Kevin Owens, Jericho again, Reigns, and maybe a few others, but there's little money in any of those except maybe the battle of the spear with Reigns. With Brock vs Goldberg 2, it would be two men beyond their prime just having a slow slugfest match in an era where women are main eventing and stealing the show, Cruiserweights are consistently upping the bar, and main eventers in Kevin Owens, AJ Styles, Seth Rollins, and midcard guys like Sami Zayn are consistently having classics. Goldberg doesn't fit in the current WWE and that's probably why he's coming back. He isn't coming back to fit in, but to stand out. However, this may work against him. 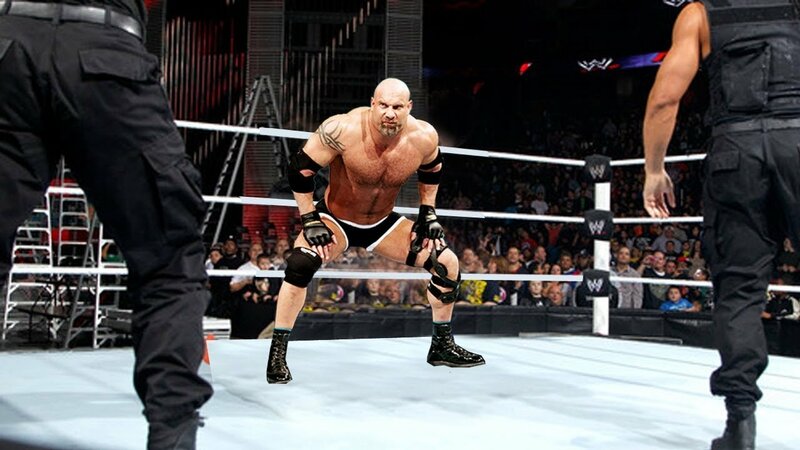 Now, who could we see Goldberg feud with if he decides to fight someone else other than Brock after their rematch? 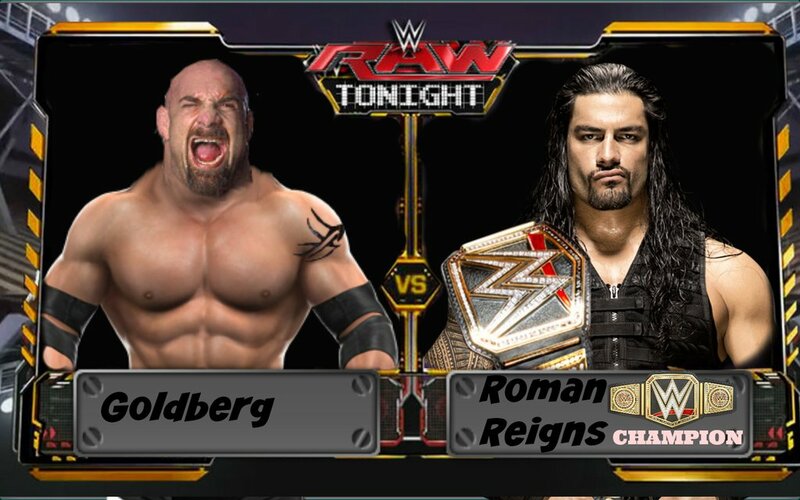 Roman Reigns vs Goldberg? Would be a terrible match considering neither man can really be a ring general and lead. 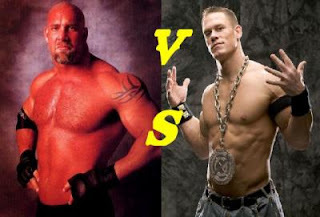 John Cena vs Goldberg? Slightly better, but one would assume this would just be another accolade for Cena to cross off his bucket list and really nothing special. Goldberg vs AJ Styles? Now, this I wouldn't be mad at because Styles can damn near pull a classic out of anyone. But, I have no desire to really see it, and the promotion of it would be odd. The best possible matches in this whole sequence comes down to two men who are actually feuding right now, Bray Wyatt and Randy Orton. Goldberg vs Bray wouldn't be the best match, but the theatrics and the build could be fun in some way and Bray cutting the lights out and thinking he's outsmarted Goldberg only to turn around into a spear would be exciting for the moment. Orton vs Goldberg? Literally this would only be fun to see Orton pop up with RKOs out of nowhere or see him go for a punt kick and get speared out of his boots. Or turn the Jackhammer to a RKO. Otherwise, there isn't much else to speak of. In the end, we seem to be getting Brock vs Goldberg soon again and I don't want it at all and neither do many others. Regardless, Goldberg returning has many negative effects and slim positive effects, but perhaps WWE will surprise us. Maybe. Doubtful, but maybe. Guess we'll have to wait and see.